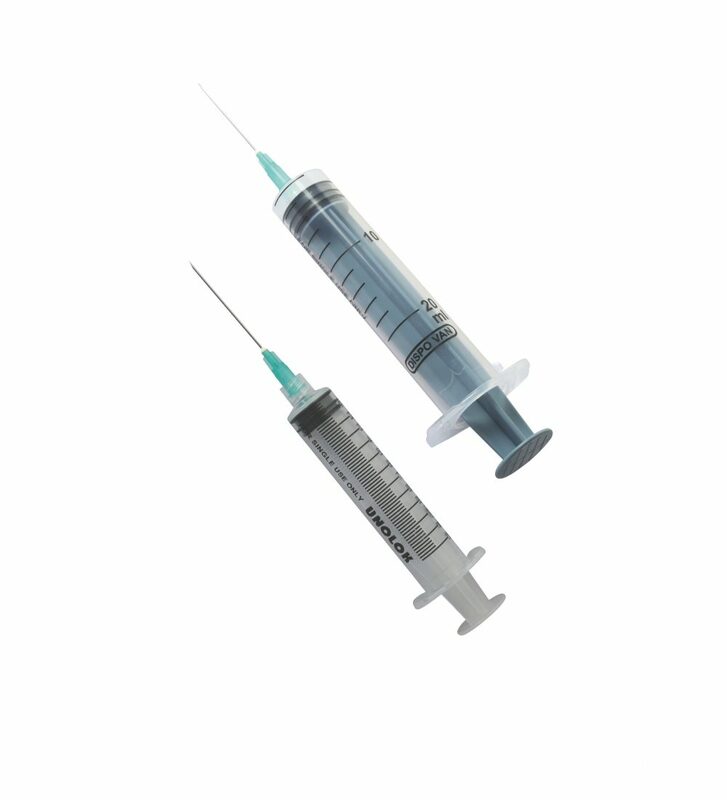 “Ribbon” Packaged, Dispovan & Unolok Single use syringes with needles mounted on top, are synonymous with quality. “Ribbon” Packaged, Dispo Van & Unolok Single use syringes with needles mounted on top are synonymous with quality. 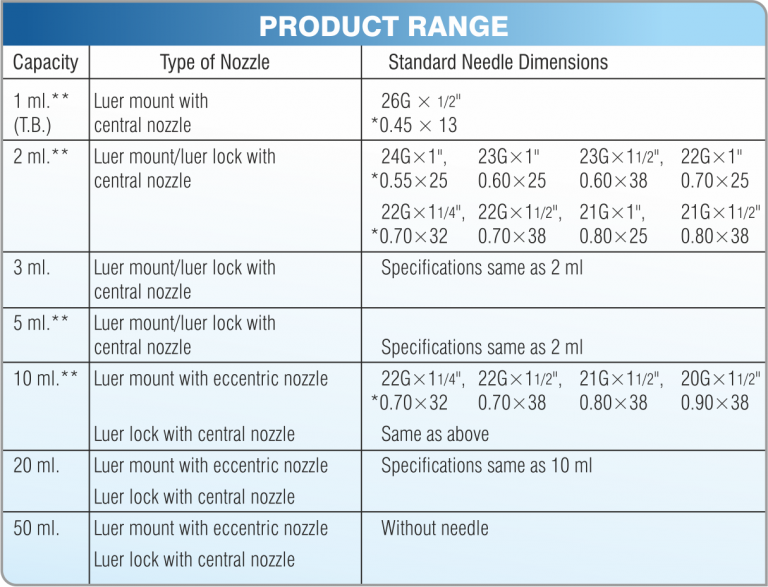 Luer lock Single use syringes with needle. 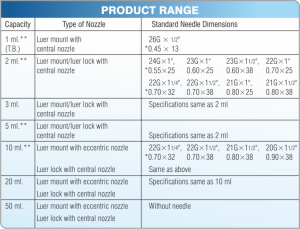 Secure fitment of needle due to presence of luer lock. High clarity plunger and barrel. Better plunger retention due to locking at the base. Manufactured as per IS:10258 /ISO:7886-1. Do not attempt to re-sterilize and reuse. * Conform to : ISO:7886-1 standard.